When you find out your child has a disability, your parenting journey veers off in an entirely new direction. Thankfully, The Arc’s Mobilizing Families training can help you regain your footing. For typically-developing children, all parents have ready access to a variety of research, resources, information and the experience of other parents to draw upon to meet parenting challenges. Access to a community of parents who have been there before. The Arc’s award-winning Mobilizing Families training will fulfill both of these needs and give you so much more. Since 1991, this thoughtfully-designed six-week course has empowered more than a thousand families to become effective advocates for their child. And while you might be thinking this is too good to be true, it gets better: The entire class – complete with family dinner and child care – is completely free of charge, thanks to our funding partners. 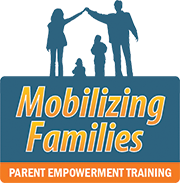 The next Mobilizing Families begins Thursday, September 28. To register, please send your name, email address, and phone number to Courtney@arcjc.org. 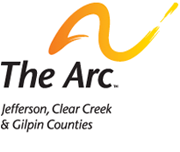 If you need help immediate assistance, The Arc’s education and family advocates can provide individual support by calling (303) 232-1338. As this, too, is a free service we provide for families, please keep in mind that it can take up to three business days for your call to be returned.